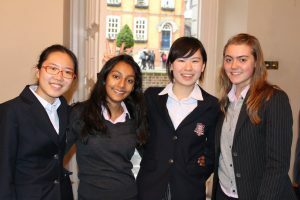 Westminster’s commitment to helping others extends beyond our own borders and across the school there are opportunities for pupils and staff alike to engage with people from a wide variety of countries, cultures and experiences. We currently partner with a network of schools and organisations in Kolkata, India, sending both our pupils and our teachers to volunteer in the area. Our pupils mainly work with the Young Men’s Welfare Society, while our teachers actually engage in an exchange with members of staff from Kolkata, an experience which has already been demonstrably helpful in improving their teaching standards. We have also recently established a rowing outreach project with Future Hope, a charitable organisation working in the same area, and together we are helping some of the most vulnerable children from the streets and slums of Kolkata. 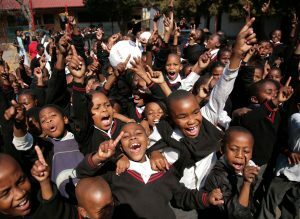 The School has also been supporting Wesbank Primary School No 1, in District 6 of the Delft township on the outskirts of Cape Town. This is a very impoverished community and Wesbank Primary School is a beacon of hope in a sea of tin shacks and little employment. This year, we raised £1300 to supply the pupils, the majority of whom do not have anything to eat before arriving at school, with a nutritious bowl of meaty bone soup each day for a year. Recently 10 Westminster geographers travelled to Tunisia as Almadanya Youth Ambassadors. Almadanya is a leading civil society NGO which was set up in the wake of the 2011 revolution to try and respond to the needs of Tunisia’s people, offering a practical set of programmes to help strengthen society and rebuild the nation, especially in rural areas. Our pupils helped to build a local library, planted trees as part of the United Nations Billion Tree Programme and participated in a series of creative Arts events in schools to promote language and cultural exchange. A pupil-led book collection across Westminster also helped to fill a local school library with over 2000 children’s books. The School has also been supporting the HEAL Project in Lusaka, Zambia. As well as hearing from members of the project at School, several school-wide and smaller Charity House projects have raised funds to support this self-help scheme which supports a community centre and income generation schemes for those living with HIV/AIDS. Click here to see a short documentary about one of the boys, Floyd, who is part of HEAL Project. As well as attending the Commonwealth Observance each year, Westminster hosts its own Commonwealth Day Seminar and participates in a range of Commonwealth activities. Eight of our pupils were recently appointed as Commonwealth Youth Ambassadors and as part of their service they undertook a significant research project, studying Commonwealth cultural and agricultural programmes both here in the UK and out in New Zealand. On the trip to New Zealand the group also had opportunities to teach classes about the Commonwealth, participate in a Maori immersion, appear live on television to debate with politicians about the value of the Commonwealth and meet the Prime Minister to discuss the future of the Commonwealth. Westminster has a series of pupil and teacher exchanges with schools in France, Germany, Chile, America, China and India, developing and sharing key ideas about educational best practice together with some of the world’s leading schools. This helps to ensure our own educational offering continues to be of the highest quality, in addition to supporting other academic institutions. We are also a part of the OECD/PISA test project, helping to prepare young people for a more interconnected world, and our Head Master regularly speaks at events such as the Annual Convening of World-Leading Schools, is run by the ‘America Achieves’ Global Learning Network of schools.